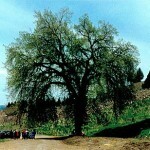 This tree has long been identified with Henry H. Wheeler for whom Wheeler County is named. 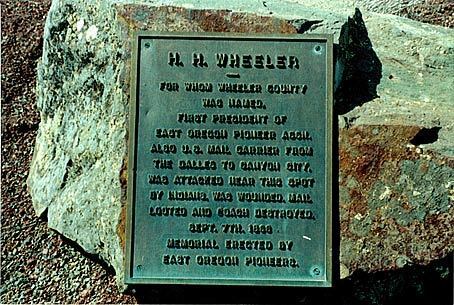 From 1864 through 1868, Wheeler drove the first stagecoach service past this site on The Dalles – Canyon City Wagon Road. 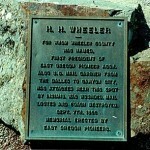 In 1866, Wheeler was ambushed near here and severely wounded. 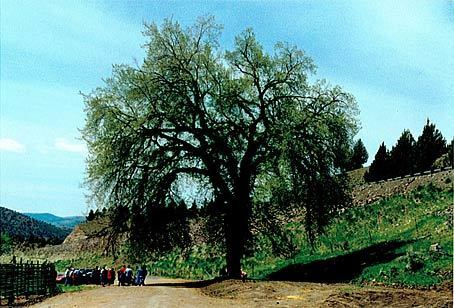 A monument dedicated to Wheeler stood by this tree for over sixty years until it was moved with the realignment of Highway 26. 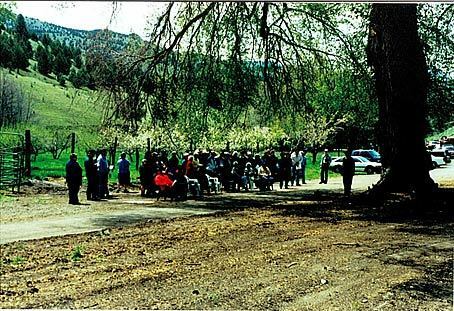 The tree is located 2.7 miles east of Mitchell at 19936 Highway 26. 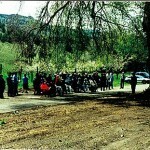 Viewing is by appointment only, call 541-462-3039.